Scravings: A bad, bad, BAD day for our hen house. And what we're going to do about it. A bad, bad, BAD day for our hen house. And what we're going to do about it. When we built the hen house, safety for our chickens was a top priority. We have an enclosed run with chicken wire buried into the ground. Our split rail fence is reinforced with an inner layer of wire fencing. We know we have predators all around us, but for nearly 3 years, we've been fortunate. Then sometime Monday night, early Tuesday morning, something got through the barriers and all heck broke loose. Where we once had 7 babies and 5 adults, we're left with only 1 sad little baby, 3 nervous-looking adults, and a pasture full of feathers. It's very unsettling. And totally unacceptable. Thankfully the goats are just fine. So, we've done some research and are considering a guard for our livestock. We know there are certain dog breeds that are good flock guards, but we already have a food-obsessed golden retriever and an old-as-the-hills lab and that's all the canine companionship any girl would ever want. At least this girl. 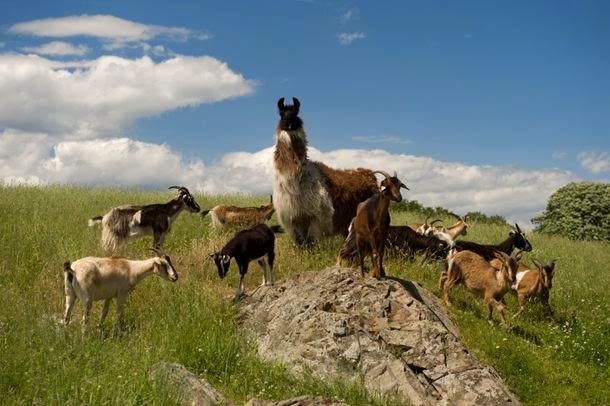 But did you know there are other livestock guardian options? Oh yes, there are! 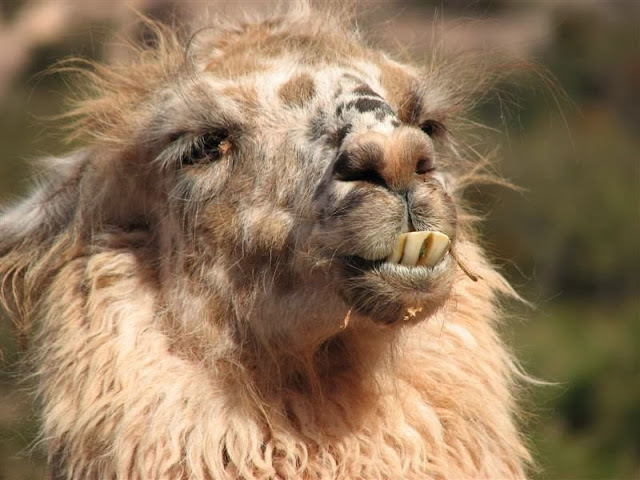 How about a guard llama?! 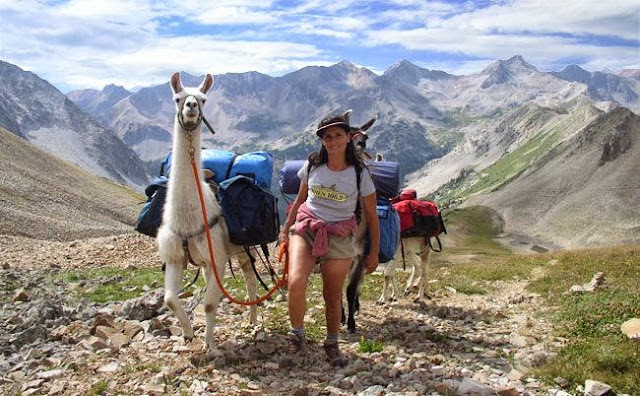 They can carry your gear for you when you go hiking. Because you know I go hiking all the time. They can go into hospitals and be therapy llamas. I could always use an excuse to rev up the car and take someone somewhere. Don't do enough of that! Finding Halloween costumes for my children has become way too easy anyway. 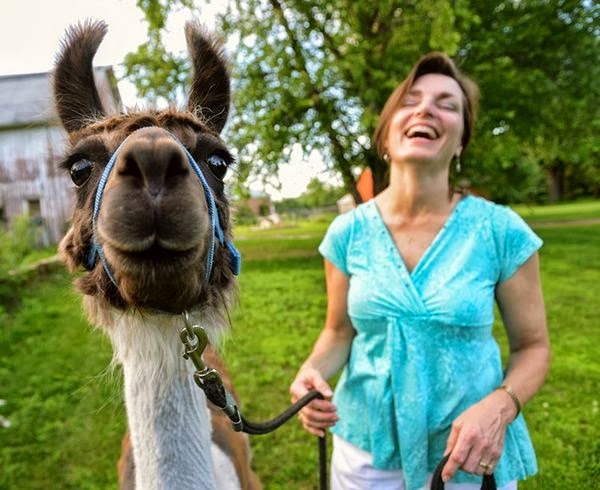 Doesn't this woman look blissfully happy with her llama? She's put together. She's wearing earrings and makeup. 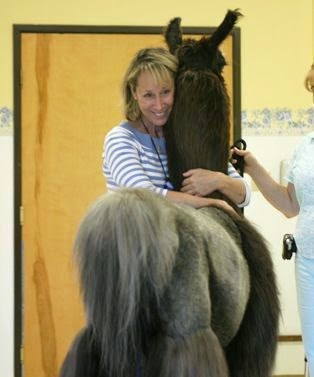 Her llama looks groomed and smiley. Her yard seems free of dung piles. Imagine things as you think they might be when in reality they might be something else entirely? Like I might have an ugly, mean, 6 foot tall animal in my pasture that makes me afraid every time I go out to get an egg. Or even worse scenario: I have an ugly, mean, 6 foot tall animal in my pasture that makes me afraid every time I go out to get an......hey, wait.....where are all my chickens? Some flock guard. So tomorrow Rosie and I are taking a llama adventure where we'll meet and greet and decide if a llama is right for our barnyard. An electric fence is also a possibility. But can you dress up an electric fence? Let it carry your pack when you go hiking? Take it to a nursing home? All things I most certainly would do? I'm so sorry something got ahold of your chickens. Yes! Definitely. They are great protection from predators, very friendly and loyal, and they keep their dung in one, nice, tidy pile. Or at least one tidy pile. And don't underestimate that hiking thing. Oh that is so frustrating. 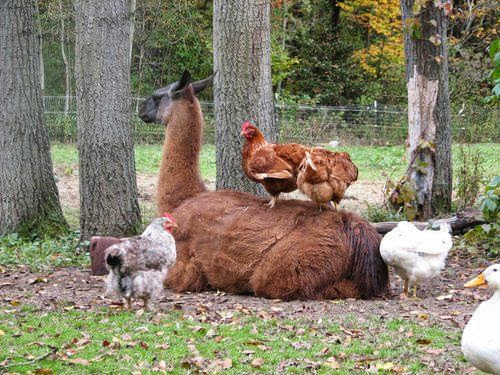 Llamas are so dang cute.....don't forget you can use their fur for yarn & make everyone matching sweaters! Consider an Alpaca... much less temperamental than a llama and their hair is glorious! 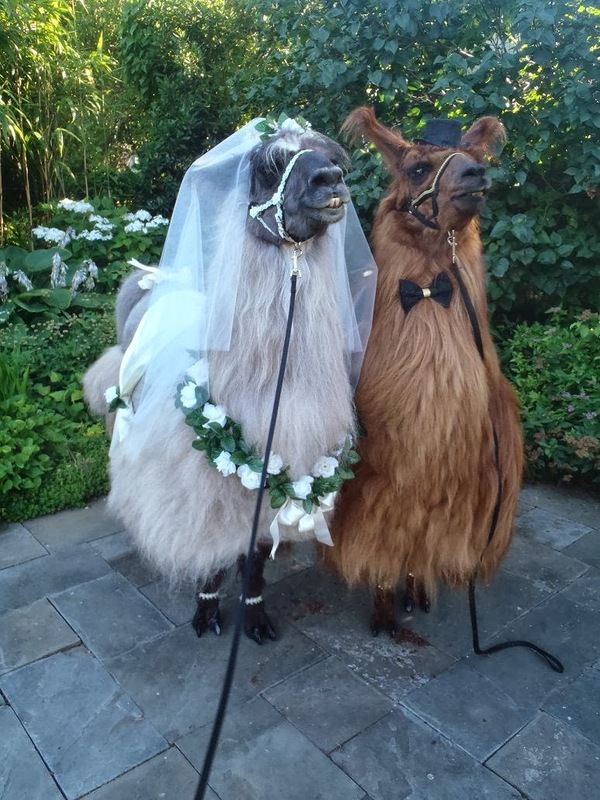 I look forward to hearing llama name suggestions.